High 1 Ski Resort prides itself in high snow quality and the state-of-the-art facilities, which brings ski and snowboard lovers to this mega-sized ski resort. However, one thing that might put you off a trip to High 1 Ski Resort is its long distance from Seoul. A one-way journey between High 1 Ski Resort and Seoul takes 3 hours, leading to spending 6 hours on highways for a round trip. To make their long journey more worthwhile, a lot of skiers choose extended stays rather than day trips and fully enjoy the winter thrills at High 1 Ski Resort. *Trazy’s overnight tours include a room at Kangwonland Hotel, round-trip transportation, lift-pass, and equipment rental. To check out the opening date of High 1 Ski Resort for 2018/19, click here! High 1 Ski Resort, one of the largest ski resorts in Korea, is often referred to as the best ski resort for avid skiers and snowboarders. An ample amount of snowfalls in the area helps the slopes maintain the snow quality consistently high. With its naturally puffy snow, the long and wide ski slopes are another merit that makes the ski resort spoken highly of by many ski lovers. 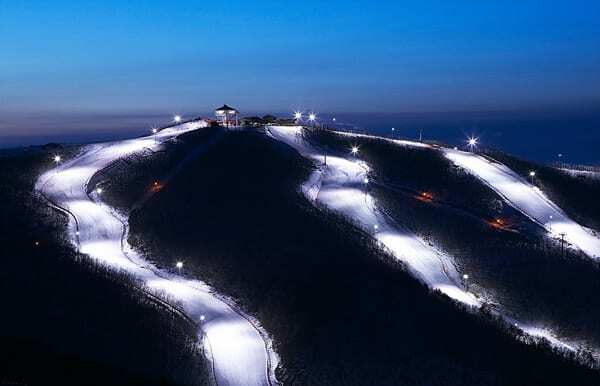 Especially the three slopes that start from the top of Baekunsan Mountain is the highlight of this huge ski resort. Look down the entire ski resort on top of the peak and slide down the endless slope. You’ll be in awe of the sheer beauty of nature and feel hair-raising thrills at the same time. There are 3 highest points in High 1 Ski Resort, which are 1) Mountain Top (1,340m), 2) Valley Top (1,376m), and 3) Mountain Hub (1,250m). With 20 slopes, there will be a plenty of options for both beginners and advanced skiers. Especially, the course from Valley Hub to Valley Condo is the longest course (4.2km) with very gentle inclination and almost no curves, which makes it a perfect slope for beginners! • Cheongnyangni Station to Gohan Station: Cheongnyangni Station (Subway Line Line 1, Gyeongui–Jungang Line) → Gohan Station → Shuttle bus to High 1 Ski Resort. 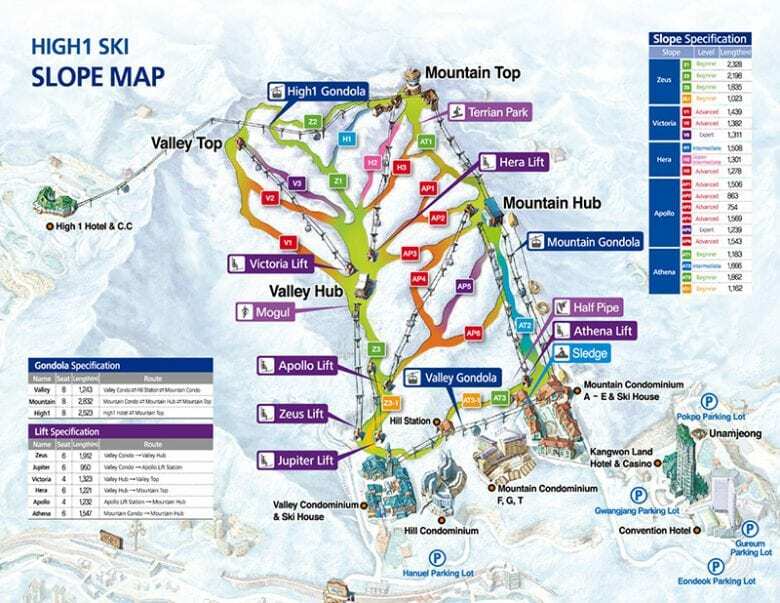 Figuring out the way to High 1 Ski Resort on your own won’t be easy, as there’s hardly any public transportation. 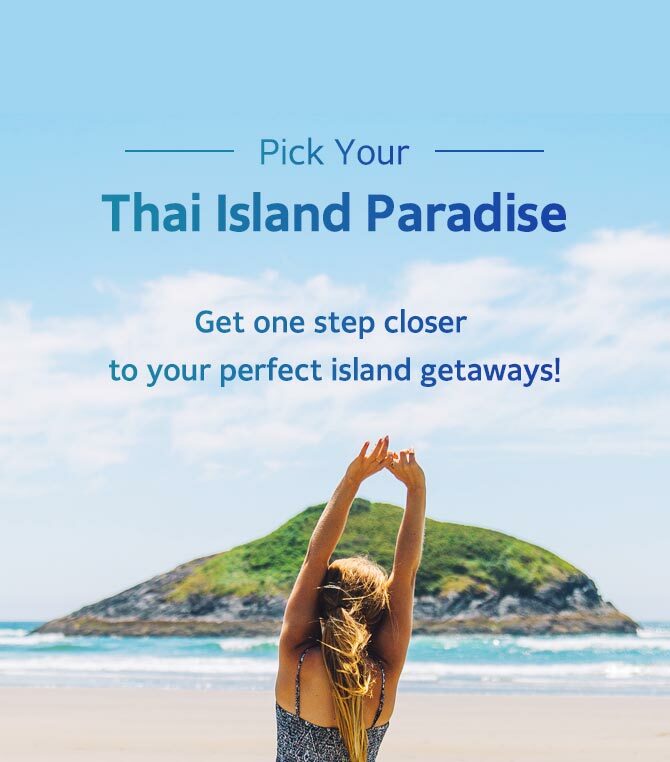 Instead, take an easy and convenient ski trip to High 1 Ski Resort with Trazy.com, Korea’s #1 Travel Shop – One click will solve all the hassles from transportation to gear rental! Kangwonland Hotel in High 1 Ski Resort is the most closely located hotel to the ski slopes among the three hotels in the area. To make your ski trip more convenient, there are shuttle buses that frequently run between Kangwonland Hotel and Mountain Ski House/Valley Ski House, the two main gates to the slopes. You can go back and forth to the nearest ski house within 10 minutes from the hotel. Chuck yourself in bed in such a short time will make you feel heavenly after a tiring ski experience. Not only for its easy access to the resort, but Kangwonland Hotel is also praised by visitors for its abundant amenities with high quality. Read below to see what Kangwonland Hotel has to offer for your ultimate ski experience. Rooms in Kangwonland Hotel range from Standard to Presidential Suite. While many different types of room are available, even standard rooms, the basic option, are equipped with all facilities and services that qualify this hotel as a 5-star hotel. You’ll find anything you need from hair brushes and skincare products to a mobile phone charger and automatic bidet toilet. You can also rent a laptop and DVD player upon request. The standard room rates are between 300,000 KRW (approx. 270 USD) and 340,000 KRW (approx. 305 USD) per night, but you’ll save a lot when booking an all-inclusive package trip. It will solve all the hassles of booking a room, transport, rental, and lift-pass separately at once. It saves your time, effort and more importantly money! *Take note that Trazy’s ski and stay packages are available between Nov 26 and Mar 21 and the price varies depending on the period. Unnamjeong, located next to the Lake Park of Kangwonland Hotel, is a traditional Korean restaurant that serves gourmet Korean dishes in an elegant setting. The hit K-Drama ‘Gourmet (Sikgaek)’ was filmed here. Cafe Lounge offers a view of the garden and blue skies through huge windows and glass ceilings. Cafe Lounge’s coffee is meticulously selected by baristas with expertise. Live music performance doubles the joy of visitors. The sauna facility at Kangwonland Hotel is where you can thaw your frozen body after skiing in the cold weather. Relax your body in the warm water and recover from fatigue out of strenuous winter activities. There is also a swimming pool next to the sauna that you can enjoy 365 days a year. If you’ve had enough for skiing, switch to swimming and take time for the summer sport in the middle of snowy surroundings! Apart from Kangwonland Hotel, there are a few condominiums in the resort that offer traditional Korean-style “ondol (a floor heating system)” rooms and standard bedrooms. If you’re looking for a room-only option, staying at the condominiums is an excellent deal as it saves your money and time. You can use Mountain/Valley gondolas connecting the condominiums directly to the slopes. Also, you’ll be given a 40% coupon for the lift pass and gear rental. *If you have already arranged ski/snowboard lessons and gear rental and only need to book a transportation or room, see below. Looking for more overnight ski packages in Korea? Here you can search and select all options depending on your needs. For more ski packages and deals for your winter adventure in Korea, visit Trazy.com, Korea’s #1 Travel Shop.